When Mailchimp was founded in 2001 it was designed to be a straight forward email marketing platform. Due to their freemium feature which was introduced in 2009, start-up and small businesses started to embrace the software. Within a year, user numbers grew to almost 500,000. In 2014, the company helped businesses to send out over 10 billion emails per month. And more current figures show that Mailchimp still attracts new customers at an impressive rate of 14,000 a day. In the last couple of years though, Mailchimp made the decisive decision to move away from being solely an email marketing software to becoming more of a CRM and general marketing software company. The overhaul is visible not only by the latest branding design changes but also through the launch of new features and the greater emphasis on automation. Even though email is still their main pull factor when it comes to attracting new customers as wel as what their existing customers are using the most, in 2018 Mailchimp introduced direct mailing functionalities and easy drop and drag landing pages that are easily connected with various automation tools. Before that, the company had already launched Facebook ad campaigns. As we all know, any campaign can only make an impact if the list of subscribers is of good quality. In the past, it was easier to have several lists in Mailchimp due to the restrictions of the group and segmentation feature. This has brought on much criticism as you were charged multiple times for the same subscriber if he or she was in various lists. Now, Mailchimp is clearly saying: Only have one list! Or in their own words: “Most people should only have one list”. This is the most important thing to know about lists or soon to be called audience: consolidating data into one list makes it easy to get a holistic view of your audience and recognize patterns in your data that can help your marketing. Tags are insights about your audience that you add to Mailchimp. Tags are customizable labels you create for your contacts based on information outside of what Mailchimp collects. You can use tags however you need to: Add multiple tags to a contact to keep track of every detail you know about them, or add a tag to a whole list of contacts on import as an easy way to remember where you met them. You can create, add, and remove tags from contacts whenever you want. You can use tags to send targeted messages. You can even create an automation that triggers when you add a specific tag to a contact. We’re all experiencing it day in and day out. We received hundreds of emails each day but maybe a letter or two every other day. Suddenly, a direct mailing campaign can put the sparkle back into your marketing campaign. I’ve always said, direct mailing done well can generate a fantastic ROI. For almost a year, Mailchimp now offers you the functionality to design and send marketing postcards to your subscribers assuming you have their consent and all the required contact details. Toward the end of March, Mailchimp will launch audience overview functionality (currently in beta). This release will provide a better understanding of your audience. It gives you greater opportunities to send relevant content to the respective segment. It’s a great starting point as it enables you to look closer at your audience based on email engagement, referral source, tags, and geolocations. With this change, Mailchimp is transitioning from the concept of "emails and lists" to "contacts and audiences". This is underlined by the fact that lists are now called “audience”. Sources of recent growth. Find out which campaigns are bringing in the most contacts, so you know what to do more of. Top locations. See what patterns in your data can tell you about where your contacts are located. Email marketing engagement. Target segments of your audience based on how they interact with your emails. One of the newer features I enjoy using the most are the landing pages. They are easy to build and great to connect with the various automation processes that you might need. In my opinion, landing pages are the way to go when it comes to gaining new subscribers to your list. Mailchimp has recognised that some marketing campaigns are very specific when it comes to offer, duration and target group. Landing pages are the ideal way to push those on social, blog pages and affiliated sites. There are no restrictions in place how many you can set up so the world is your oyster when it comes to setting up your landing pages. With the increase functionalities and features, Mailchimp is providing more detailed resources on how to use what and when and how. 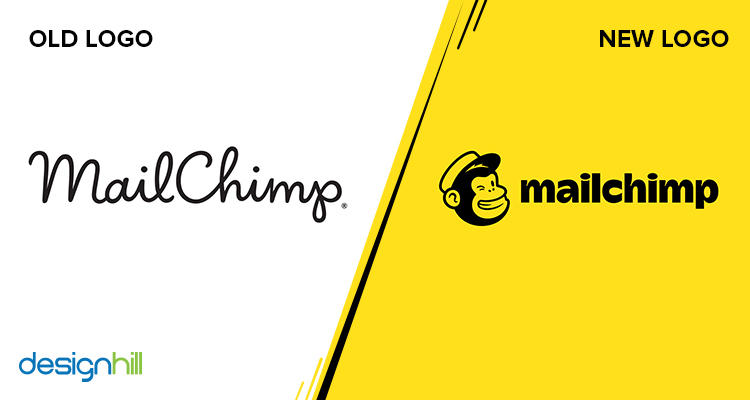 Looking at what Mailchimp has achieved and what is to come, it’s time to stop bashing the system like some marketeers are currently doing and look at the bigger picture of where Mailchimp is heading to. I still believe that the system is a fantastic tool especially when you first start out with your business.